Here is a great newspaper article from very early in the career of Ella Raines, before her first movie was even released. 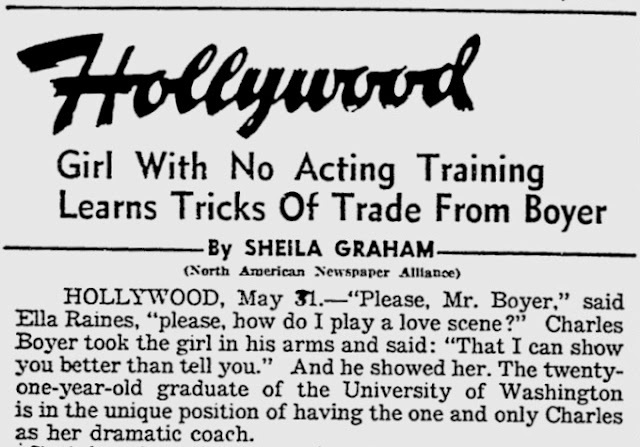 The bulk of the article talks about Charles Boyer who, alongside Howard Hawks, had brough Ella Raines to Hollywood. 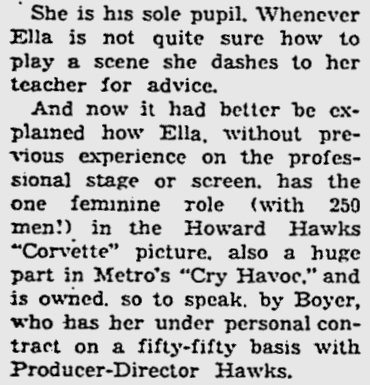 Ella Raines gives a number of quotes about Charles Boyer and mostly discusses how he was giving her personal acting lessons to prepare her for the big time.